BEIRUT 298 combines a great panoramic view of the downtown city, mountain and sea in one great location. GECC designed this building to meet the needs of peace, serenity and tranquility amidst of Beirut whereas within the proximity to many major places and destination spots. 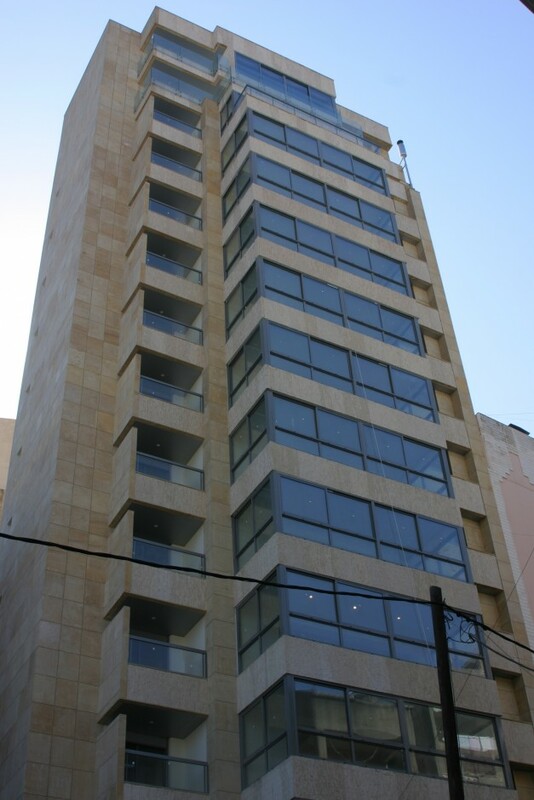 Spaces in BEIRUT 298 are 230m2 for the 12 apartment simplexes and 410 m2 for the duplex. 2 parking spot per apartment. External, double walls of 10cm thickness with 5cm void in between. High quality natural stones mechanically fixed for walls and “Stone Eclate” for parapets. Technical area: ceramic tiles “Plain Masse Ceramic” or equivalent. Roof area: Mosiac concrete tiles. Ducted AC/Heat pump unit for reception Area LG , or equivalent. Ducted AC/Heat pump for all other rooms LG, or equivalent. European electrical wiring accessories: VIMAR PLANA or equivalent. Electrical panel boards equipped with earth-leakage protection according: ABB or equivalent. Reception area: Marble 60x60cm, 2cm thickness MARFILLO or equivalent. Reception balconies: 60x60cm marble, 2cm thickness Marfillo or equivalent. Solid wood for main entrance and reception door. Solid suede architrave with mdf panels for all other doors. . Custom kitchen cabinets. Granite top and sink. Sanitary Fixtures: GROHE, IDEA STANDARD or equivalent. Sanitary Wares: TOTO or equivalent.